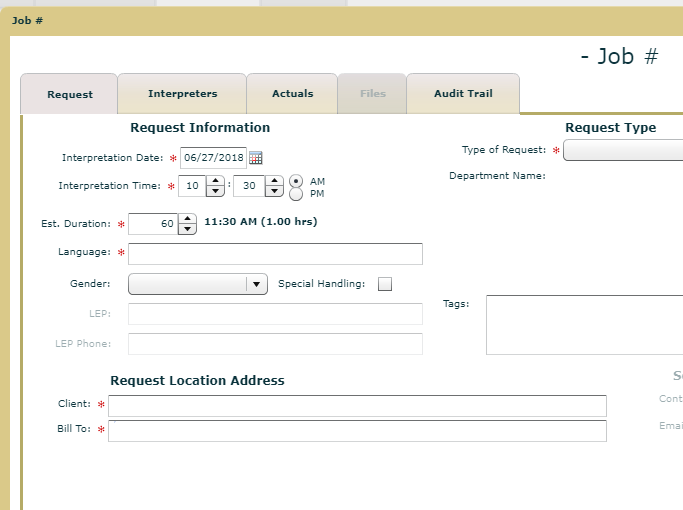 While a new Request/Job can always be created by clicking the Add New Request button, it is often easier to click the Calendar tab on the Dashboard and start your new Request from there. 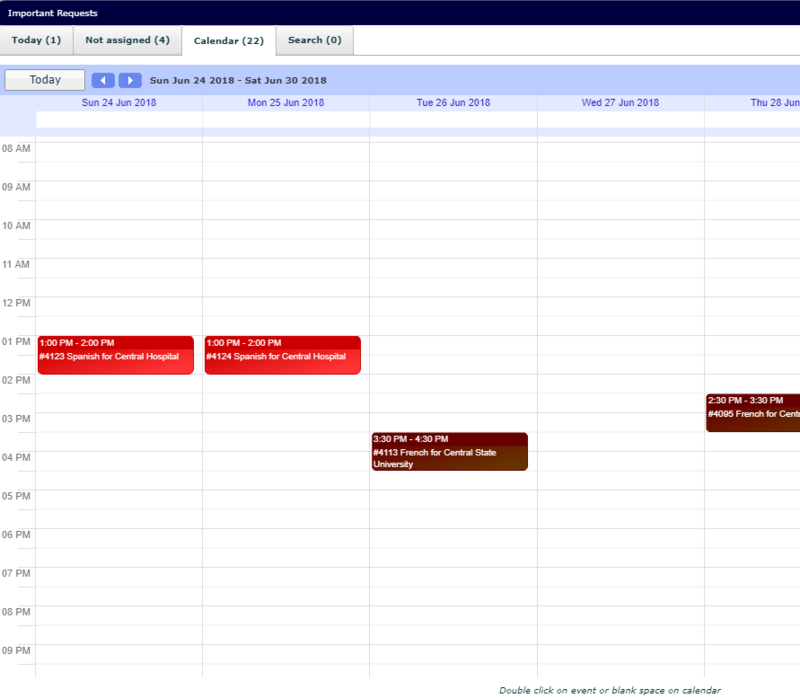 Simply find the date and time you wish to create the new Request/Job for and double click that space on the calendar. For example, by clicking on Wednesday at 10 AM, the pop-up New Request form will open and will already be populated with the the date, time and default duration for the Request. From here it is just like creating the Request from the Add New Request button. It saves a few keystrokes for each request you create. Note that this also works from the Stand Alone Calendar.